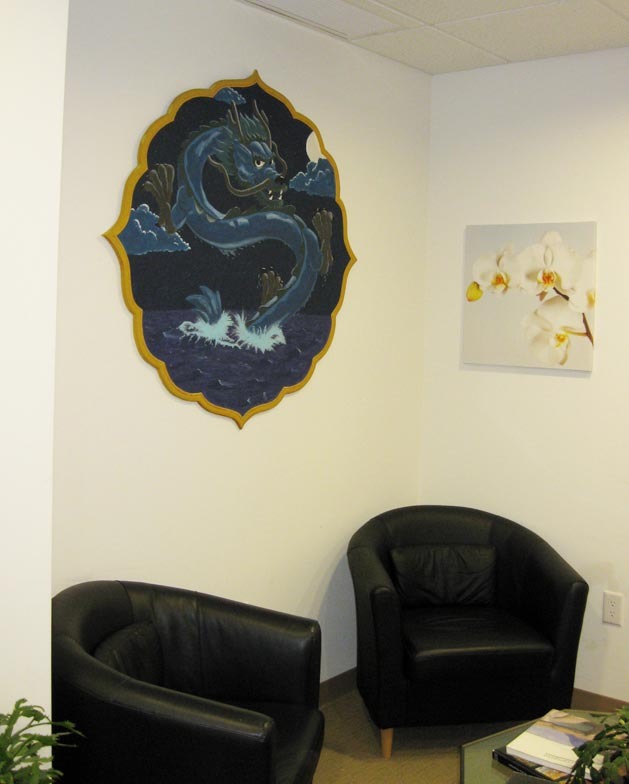 Work commissioned for an acupuncture clinic. 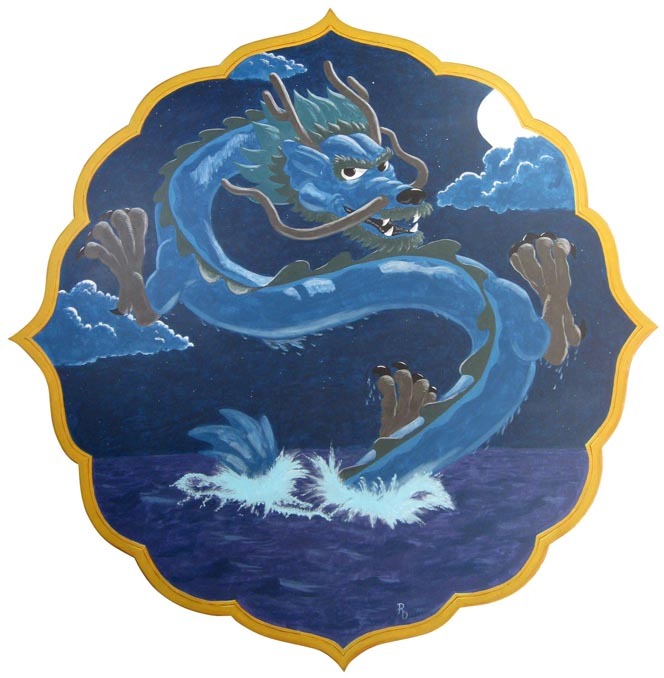 In the Chinese mythology, the dragon rises from the ocean. The dragon symbolizes the native power of the spirit. The ocean is the unconscious from which it arises. The image is painted on MDF board with acrylic paint.